Passing by the meat area (is that what it's called?) 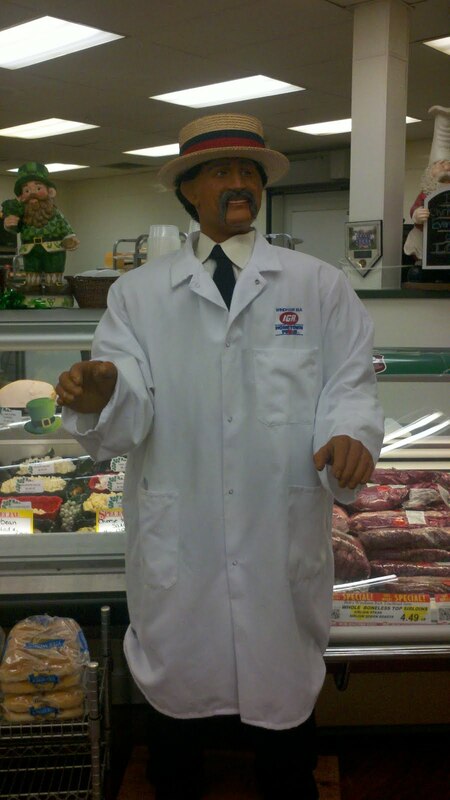 while shopping with the Pres at our local IGA, I saw the man's arm move. His voice deepened and he began to speak. He scared the crap out of me!! I'll forgive him though because they sure make awesome grinders!! Wow. I haven't thought about grinders in a very long time. When I lived in Webster, MA long ago, we got them from a little Italian grocery. That was my very first exposure to them.